^ Nintendo Power Holiday 2008. Nintendo Power 236. 2008: 82. ^ 2.0 2.1 Epic Center: Chrono Trigger. Nintendo Power. July 1995, 74: 53. ^ 5.00 5.01 5.02 5.03 5.04 5.05 5.06 5.07 5.08 5.09 5.10 5.11 5.12 5.13 Studio BentStuff (编). Chrono Trigger Ultimania. Square Enix. 2009: 581. ISBN 978-4-7575-2469-9 （日语）. ^ 6.0 6.1 Final Fantasy Chronicles instruction manual. Square Enix. 2001: 32–33. SLUS-01363. ^ Square Co, Chrono Trigger, Super Nintendo Entertainment System, Square Soft, Heckran Cave, 1995-08-22, Heckran: If only the great Magus who brought forth Lavos 400 years ago, had destroyed the human race! ^ Square Co, Chrono Trigger, Super Nintendo Entertainment System, Square Soft, Heckran Cave, 1995-08-22, Magus: I've waited for this... I've been waiting for you, Lavos. I swore long ago... that I'd destroy you! No matter what the price! It is time to fulfill that vow. Feel my wrath, Lavos!! ... / Magus: Aaah!! My powers are being drained! ^ Square Co, Chrono Trigger, Super Nintendo Entertainment System, Square Soft, North Cape, 1995-08-22, Magus: Behold. Everything's at the bottom of the sea. Gone is the magical kingdom of Zeal, and all the dreams and ambitions of its people. I once lived there... But I was another person then. ... / Marle: You're... ...Janus, aren't you? ... / Magus: Ever since Lavos's time portal stranded me in the Middle Ages... I have waited to even the score. ^ Square Co, Chrono Trigger, Super Nintendo Entertainment System, Square Soft, The End of Time, 1995-08-22, Gaspar: Just as you touch the lives of every life form you meet, so, too, will their energy strengthen you. ^ Square Co, Chrono Trigger, Super Nintendo Entertainment System, Square Soft, Geno Dome, 1995-08-22, Mother Brain: Listen well humans. ... / Mother Brain: We robots will create a new order... A nation of steel, and pure logic. A true paradise! Our «Species» will replace you... So stop your foolish struggle, and succumb to the sleep of eternity... ... / Marle: What IS this?! We have to do something! / Magus: Hmm... A human processing plant? / Frog: What be this?! We must rescue them! ^ Square Co, Chrono Trigger, Super Nintendo Entertainment System, Square Soft, Northern Ruins, 1995-08-22, Frog: Dear Cyrus... Thou must...think ill of me. / Cyrus: On the contrary! You have come far, my friend. When Magus defeated me, I thought of all those whom I had left behind. King Guardia, Queen Leene, and of course, you... Your skill and dedication is superior! I can rest now, knowing that everyone is in good hands. Good bye, my friend! ^ Square Co, Chrono Trigger, Super Nintendo Entertainment System, Square Soft, Fiona's Forest, 1995-08-22, Robo: After 400 years of experience, I have come to think that Lavos may not be responsible for the Gates. / Marle: What do you mean? / Robo: I have come to think that someone, or something wanted us to see all this. ^ Square Co, Chrono Trigger, Super Nintendo Entertainment System, Square Soft, Leene Square, 1995-08-22, Mom: Look, Crono! Your cat's running away because you haven't been feeding it! Hey, come back here! / Marle: Oh, great! Crono, that Gate will never open again! / Lucca: Well it looks like we have no choice but to go after them! / Marle: Go after them?! But the Gate's... Lucca, don't turn off your brain, yet! / Lucca: I forgot! We have a Time Machine! ^ Square Enix, Chrono Trigger DS, Nintendo DS, Square Enix, Twilight Grotto, 2008-11-25, Dalton: If it weren't for you, I'd have been the ruler of an age all my own! You robbed me of everything I'd worked so hard for! My wealth, my home, my loyal underlings... You took it all away! It's unforgivable! So come on! Have a taste of the suffering I've endured because of you! / Dalton: Hmph. I think that's enough for today. But don't you dare think this is settled! Just you wait! I'll raise the greatest army the world has ever seen in Porre, and use it to wipe your pitiful little kingdom off the map! ^ Square Enix, Chrono Trigger DS, Nintendo DS, Square Enix, Twilight Grotto, 2008-11-25, Magus: Hmph. If this is to be the way of things, then let me abandon all that was and fade away as well. Should a part of me somehow even then remain, then perhaps that will be the birth of something new—something with greater meaning than all this. / Magus: Who...who am I? What's happened? I...I don't remember anything. There was something...something I needed to do. Something I needed to...to find. / Magus: I must find a way to remember. I will. ^ ニンテンドーDSで蘇える不朽の名作『クロノ・トリガー』プレイインプレッション. Kadokawa Corporation. 2008-11-27 [2014-08-02]. ^ 21.0 21.1 21.2 21.3 21.4 21.5 V-Jump Festival 1994 (VHS tape). Japan: Shueisha. 1994. ^ Prescreen: Chrono Trigger. Edge (Bath: Future Publishing). April 1995, (19): 41. ^ 23.0 23.1 23.2 Seiken Densetsu Music Complete Book Liner Notes (translated by Gerardo Iuliani). Square Enix. 2011-09-14 [2014-08-03]. （原始内容存档于2014-08-09）. ^ V-Jump (编). Chrono Trigger V-Jump Player's Guide. V-Jump. 1995: 189 （日语）. ^ 27.0 27.1 27.2 27.3 27.4 27.5 27.6 Chrono Trigger Development Team Special Talk. Gamest (Shinseisha). March 1995: 211–215. ^ Play staff. Yuji Horii interview. Play online. [February 16, 2007]. （原始内容存档于2006-03-25）. ^ 29.0 29.1 29.2 29.3 29.4 Studio BentStuff (编). Chrono Cross Ultimania. Square Enix. 1999: 476–477. ISBN 4-925075-73-X （日语）. ^ 30.0 30.1 30.2 30.3 Procyon Studio: Interview with Masato Kato. Cocoebiz.com. November 1999 [June 3, 2007]. （原始内容存档于2011-07-24）. ^ 31.0 31.1 31.2 Weekly Famitsu. Chrono Compendium. 1999 [July 3, 2006]. ^ Alpha Versions. Chrono Compendium. [January 14, 2008]. ^ 36.0 36.1 Translation Differences. Chrono Compendium. April 2007 [2008-02-08]. 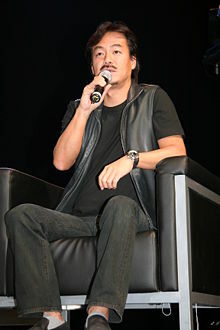 ^ Yasunori Mitsuda. Singing Mountain (Music). Chrono Compendium. [2007-04-02]. ^ 38.0 38.1 38.2 38.3 Ted Woolsey. Interview with Ted Woolsey. Player One Podcast. 2007-02-16 [2008-01-14]. ^ Ted Woolsey, Bob Rork. Interview with Ted Woolsey. Chrono Compendium. [2007-04-02]. ^ Chrono Trigger Time Warps to Virtual Console Next Month | Siliconera. Siliconera.com. March 2011 [2011-03-26]. ^ IGN. Chrono Trigger Wii-Bound in America. [2011-05-13]. ^ nintendolife. Chrono Trigger Hits European Virtual Console on Friday. [2011-05-20]. ^ Wii Channels: Wanted!. Nintendo Power (Future US). June 2008, 229: 25. ^ 44.0 44.1 Thomas, Lucas. Chrono Trigger Review. IGN. [26 May 2011]. ^ Shoemaker, Brad. Final Fantasy Chronicles for PlayStation Review. GameSpot. 2001-06-06 [December 27, 2008]. ^ 48.0 48.1 48.2 48.3 Chrono Trigger DS. ファミ通. 2008: 67–70 （日语）. ^ 【ブースリポート】スクウェア・エニックスブースでは『FFXIII』ほかの最新映像を上映. Famitsu. October 9, 2008 [2008-10-13]. ^ Tong, Sophia. E3 2008: Chrono Trigger DS Hands-On. GameSpot. July 16, 2008 [2008-10-02]. ^ Cheng, Justin. The Big 15: Chrono Trigger. Nintendo Power (Future US). October 2008, 233: 62. ^ O'Connor, Michael. Chrono Trigger DS receives Monster Battling addition. The Gaming Vault. September 21, 2008 [2008-10-01]. （原始内容存档于2008-09-24）. ^ ニンテンドーDS版の追加要素が判明 『クロノ･トリガー』. ファミ通. October 7, 2008 [2008-10-13]. ^ 55.0 55.1 Anderson, Lark. Chrono Trigger Review. Gamespot.com. November 21, 2008 [2014-04-26]. ^ 56.0 56.1 Bozon, Mark. Chrono Trigger for DS review. IGN. November 20, 2008 [2008-12-08]. ^ IGN DS: Best RPG 2008. IGN.com. 2008-12-15 [2014-04-26]. （原始内容存档于2008-12-19）. ^ JAPANESE 2008 MARKET REPORT. MCVUK. [2009-01-09]. ^ スクエニ、iモード「クロノ・トリガー」時をめぐる壮大な物語が展開する名作RPG. Game Watch. [2013-05-15] （日语）. ^ ChĜrono Trigger iOS Available Now. IGN. [2013-05-15]. ^ Oh Man,ChronoTrigger Is On Android Now For $10- This Is Even Better Than Final Fantasy. Android police. [2013-05-15]. ^ スクエニ、「クロノ・トリガー」 Android/EZweb版も配信開始!!. Game Watch. [2013-05-15] （日语）. ^ 63.0 63.1 63.2 Kohler, Chris. Power-Up: How Japanese Video Games Gave the World an Extra Life. DK Publishing. 2004. ISBN 0-7440-0424-1. ^ 64.0 64.1 64.2 Kennedy, Sam. Radical Dreamer: Yasunori Mitsuda Interview from 1UP.com. 1UP.com. 2008-01-28 [2008-02-08]. ^ 65.0 65.1 65.2 65.3 Chrono Trigger DS (Flash). Square Enix. [March 13, 2009]. ^ 66.0 66.1 66.2 66.3 66.4 Yasunori Mitsuda Talks Chrono Trigger. Original Sound Version. 2008-11-24 [March 13, 2009]. ^ 67.0 67.1 Epic Center: Chrono Trigger. Nintendo Power. July 1995, 74: 52. ^ Gay, James. Yasunori Mitsuda Interview. PALGN. October 13, 2006 [2007-05-22]. （原始内容存档于2011-06-11）. ^ Chrono Trigger Fan Club. Square Enix. [February 20, 2009]. （原始内容存档于2009-02-19）. ^ Music (Chrono Trigger). Chrono Compendium. [May 8, 2006]. ^ Album: Chrono Trigger: Chrono Symphonic. OverClocked ReMix. [April 13, 2008]. ^ Albums and Doujins. Chrono Compendium. [September 21, 2010]. ^ Orchestral Game Concert 5 (1996-01-21). Sony. SRCL-2739. ^ Driker, Brandon. Play! A Video Game Symphony. N-Sider. 2006-05-30 [2009-04-30]. （原始内容存档于2008-05-03）. ^ Nobuo Uematsu to attend Chicago world-premiere. Anime News Network. 2006-04-11 [2009-09-04]. ^ David Hsu. Video Games Live Pulls the Trigger: Chrono Medley Added to Repertoire. Original Sound Version. 2009-04-08 [August 10, 2009]. ^ Music from classic games arranged by Jonne Valtonen. Symphonic Fantasies. 2009-01-22 [2009-06-01]. （原始内容存档于2009-06-27）. ^ [DS版]クロノ・トリガー オリジナル・サウンドトラック(DVD付) [CD+DVD]. 2009-07-29 [2009-07-30]. ^ 79.0 79.1 Chrono Trigger for Nintendo DS from 1UP. ^ Carpenter, Danyon; Manuel, Al; Semrad, Ed; Sushi-X. Chrono Trigger review. Electronic Gaming Monthly. August 1995, (73): 34. ISSN 1058-918X. ^ Pfister, Andrew. Timeless. Electronic Gaming Monthly. December 2008, (235): 84. ISSN 1058-918X. ^ Parkin, Simon. Chrono Trigger Review. Eurogamer. November 28, 2008 [2009-01-07]. ^ おオススメ!! ソフト カタログ!! : クロノ・トリガー. Weekly Famicom Tsūshin. No.335. Pg.114. 12–19 May 1995. ^ Chrono Trigger Reviews and Articles for SNES. GameRankings. [2011-08-03]. ^ Juba, Joe. Chrono Trigger. Game Informer. December 2008, (188): 130. ISSN 1067-6392. ^ Scary Larry. Chrono Trigger review. GamePro. September 1995, (74): 78. ISSN 1042-8658. ^ Herring, Will. Chrono Trigger review. GamePro. December 2008, (233): 130. ISSN 1042-8658. ^ Chrono Trigger (DS). GameSpy. 2013 [2013-09-02]. ^ Words: Henry Gilbert, GamesRadar US. Chrono Trigger, Chrono Trigger Review, DS Reviews. Games Radar.com. [2011-08-03]. ^ Kolan, Nick. Chrono Trigger DS AU Review. IGN. February 3, 2009 [7 February 2012]. ^ Chrono Trigger Super NES. IGN. [2011-12-13]. （原始内容存档于2012-04-26）. ^ Swan, Leslie. Chrono Trigger review. Nintendo Power. August 1995, (75): 107. ^ Hoffman, Chris. Chrono Trigger review. Nintendo Power. December 2008, (236): 82. ^ Jackson, Mike. Chrono Trigger: Square's masterpiece finally arrives in UK in its original 16-bit form. Official Nintendo Magazine. 20 May 2011 [11 February 2012]. （原始内容存档于2014-10-27）. ^ By Mike D'Alonzo - Posted Nov 25, 2008. Chrono Trigger DS Review for DS. G4tv. 2008-11-25 [2011-08-03]. ^ Chrono Trigger Reviews. Game Rankings. 2008 [2008-12-08]. ^ Chrono Trigger Reviews. Game Rankings. 2008 [2009-01-07]. ^ Chrono Trigger for DS Reviews. Metacritic. 2013 [2013-09-02]. ^ 102.0 102.1 February 2, 2004 - February 4, 2004 (PDF). Square Enix: 27. 2004-02-09 [2008-11-30]. ^ Chrono Trigger: A New Standard for RPGs. Nintendo Power. June 1995, 73: 36. ^ 読者 クロスレビュー: クロノ・トリガー. Weekly Famicom Tsūshin. No.332. Pg.32. 28 April 1995. ^ 読者 クロスレビュー: クロノ・トリガー. Weekly Famicom Tsūshin. No.335. Pg.30. 12–19 May 1995. ^ Game Rankings staff (编). Chrono Trigger Reviews. Game Rankings. [May 7, 2006]. ^ 108.0 108.1 IGN staff. IGN: Final Fantasy Chronicles Review. IGN. July 4, 2001 [May 7, 2006]. ^ 109.0 109.1 Wollenschlaeger, Alex. Final Fantasy Chronicles Tops Sales Charts Six Weeks in a Row. RPGamer. August 15, 2001 [May 8, 2006]. （原始内容存档于2011-01-27）. ^ Results Briefing Session for the Fiscal Year ended March 31, 2009 (PDF). Square Enix: 28. 2009-05-25 [2010-07-16]. ^ Electronic Gaming Monthly's Buyer's Guide. 1996. ^ Bahamut. RPGFan Reviews - Chrono Trigger. RPGFan. October 30, 2001 [July 22, 2006]. ^ Earl, Victoria. Chrono Trigger's Design Secrets. Gamasutra. June 26, 2012 [1 July 2012]. ^ Fahey, Mike. A Visual Guide To The Role-Playing Game. Kotaku. 2010-05-25 [2010-09-12]. （原始内容存档于2010-06-19）. ^ Brian Crecente. Super Mario Kart: Most Influential Video Game in History. Kotaku. February 26, 2009 [February 27, 2009]. ^ Nintendo Power 250th issue!. South San Francisco, California: Future US. 2010: 46. ^ Anachronox - The third leg in Ion Storm's triad may turned out to be its most underrated. Next Generation Magazine (Imagine Media). May 1999, 1 (53): 36–37. ^ IGN staff. The Top 100 Games Ever. IGN. 2006 [August 8, 2007]. （原始内容存档于2015-05-11）. ^ IGN staff. The Top 100 Games Ever. IGN. 2007 [February 2, 2008]. （原始内容存档于2007-12-03）. ^ IGN staff. IGN Top 100 Games 2008 – 2 Chrono Trigger. IGN. 2008 [March 13, 2009]. （原始内容存档于2009-02-17）. ^ Cork, Jeff. Game Informer's Top 100 Games of All Time (Circa Issue 100). Game Informer. 2009-11-16 [2013-12-10]. ^ GameSpot editorial team (编). The Greatest Games of All Time. GameSpot. 2006-04-17 [May 6, 2006]. （原始内容存档于2006-04-23）. ^ Campbell, Colin. Japan Votes on All Time Top 100. Edge online. March 3, 2006 [October 2, 2008]. ^ Ashcraft, Brian. Dengeki Readers Say Fav 2007 Game, Fav of All Time. Kotaku. March 6, 2008 [March 29, 2008]. ^ Best of the Best. Nintendo Power (Future US). August 2008, 231: 73. ^ The 100 best games of all time. GamesRadar. April 20, 2012 [30 June 2012]. ^ Best JRPGs. GamesRadar. July 19, 2012 [5 August 2012]. ^ GamesRadar staff. Best Super Nintendo games of all time. GamesRadar. April 17, 2012 [February 25, 2013]. ^ Weekly Famitsu: 191. 1995 [July 28, 2013]. ^ Production I.G staff. 時空冒険ぬうまもんじゃ～. Production I.G. [2007-05-20]. （原始内容存档于2011-01-27） （日语）. ^ Production I.G staff. Dimensional Adventure Numa Monjar. Production I.G. [2007-05-20]. ^ Chrono Trigger: Resurrection staff. Project discontinued. Chrono Trigger: Resurrection. 2004-09-06 [May 7, 2006]. （原始内容存档于2006-05-07）. ^ Chrono Trigger Remake Project staff. CTRP Closes its doors. Chrono Trigger Remake Project. [May 7, 2006]. ^ Jones, Darran. games October 2004; issue 24. Highbury Publishing. 2004: 130. ^ Baker, Chris. Electronic Gaming Monthly February, 2005. Ziff Davis Media. 2005. ^ Ragan, Jess. Singin' the Brews: The History and Philosophy of Homebrew Game Development. 1UP.com. March 20, 2006 [November 9, 2006]. ^ Shoemaker, Brad. The Greatest Games of All Time: Chrono Trigger. IGN. April 17, 2006 [November 9, 2006]. ^ ZeaLitY. Crimson Echoes. May 9, 2009 [May 9, 2009]. （原始内容存档于2009-06-10）. ^ Fan-made Chrono Trigger sequel finds release, Retrieved February 7, 2011. ^ 141.0 141.1 Vestal, Andrew. Chrono Cross Review. GameSpot. January 6, 2000 [2014-04-26]. ^ Chrono Cross OST Liner Notes. Chrono Compendium. December 18, 2000 [July 24, 2006]. ^ Game Rankings: Chrono Cross. Game Rankings. [July 27, 2007]. ^ Rotten Tomatoes: Chrono Cross. Rotten Tomatoes. [July 27, 2007]. （原始内容存档于2007-03-20）. ^ Shahed Ahmed. New Chrono game in planning stages. GameSpot. 2001-07-03 [July 1, 2006]. ^ Latest Status Info. Trademark Applications and Registration Retrieval. 2003-11-13 [July 1, 2006]. ^ 【ゲームな人々】第11回 長きに渡って活躍する凄腕プロデューサー　時田貴司氏(後編). game.goo.ne.jp. 2003-07-16 [2008-01-15]. （原始内容存档于2006-03-07） （日语）. ^ Alex Fraioli, Sam Kennedy. Dragon Quest vs. America. 1UP.com. December 2, 2005 [2007-10-01]. ^ Parish, Jeremy. Retro Issue: Missing in Action. Electronic Gaming Monthly (Ziff Davis Inc.). June 2008: 95. ^ Famitsu Readers Vote Their Most Wanted Sequels. ファミ通. May 2009 [2014-08-03]. （原始内容存档于2009-05-04）. ^ Donaldson, Alex. Square: Want more Chrono Trigger? Buy More!. 2009-06-05 [2009-06-15]. ^ Square: Obsidian Would Like To Work On Chrono Trigger. [2010-07-16]. ^ Square: Obsidian wants to make Chrono Trigger. [2010-07-16]. ^ Final Fantasy XIII-2: remaking FF7, Kinect RPGs and killing the "girly" feel. November 2011 [2013-04-21]. （原始内容存档于2012-01-02）.